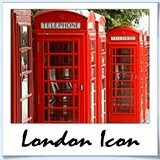 Top London Attractions is a widely debated topic. Rightly so, there's so much competition amongst the popular city sights. 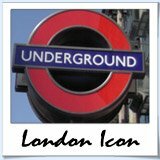 My top London attractions include a mix of galleries, markets and historical sites. The good news - some of them are free! When you are in London, you simply can't miss out on these gems! You can't miss the Imperial War Museum. There's a pair of 15 inch naval guns greeting you as you enter the building that in a past life was Bethlehem Royal Hospital. This museum offers a sober and sometime confronting experience for visitor and is focussed on British and commonwealth troops' involvement in 20th century conflicts. Borough Markets is the grand daddy of London Fresh Food Markets. You don’t have to be a foodie to enjoy this London attraction. Be prepared for a mass influx of sights, smells and tastes. The seemingly endless vendors offer small morsels of their best food to temp you in. If you tried everything on offer you wouldn't need to eat for a week. Go early and go on an empty stomach. More on Borough Markets. The West End of London is immense and well worth a day or two in itself. I love wandering the streets of Soho to find a cool restaurant or bar before heading off to the theatre. The West End is packed with attractions including the British Museum, National Gallery, Somerset House and Trafalgar Square. I can not do it justice in this summary so please, click here and let my share my love! "Look Kids, Big Ben... Parliament" If you haven’t seen the movie "National Lampoons European Vacation" do yourself a favour and get it ASAP! It's hard not feel patriotic towards this great city and country when you visit Big Ben and the Houses of Parliament. You'll find that there are many vantage points from which you can admire the great English Landmarks. More on the Big Ben and the Houses of Parliament here. Iconic, that’s Tower Bridge in one word! Often mistaken for the boring old London Bridge this is one of the true hero's of the London Sky Line and will be found in ALL guides as one of the top London attractions. There are some tours available but if you simply want to soak up the view, head for London Bridge and have your camera ready - one of the other tourists will take a happy snap for you with the Tower Bridge in the background. Here’s more on this top London attraction! A relatively new fixture in the top London attractions, once the slums of East London and the scene of many Jack the Ripper murders. Brick Lane has gone through regeneration. Attracting an edgy, artistic crowd, Brick Lane safely slots in as one of London’s Top Attractions now offering restaurants, markets and festivals year round. Get down to Brick Lane and try an authentic Bangladeshi while soaking up the atmosphere. Take me to Brick Lane! Well that wraps up my top London attractions. Got some of your own that you would like to share? Be my guest!